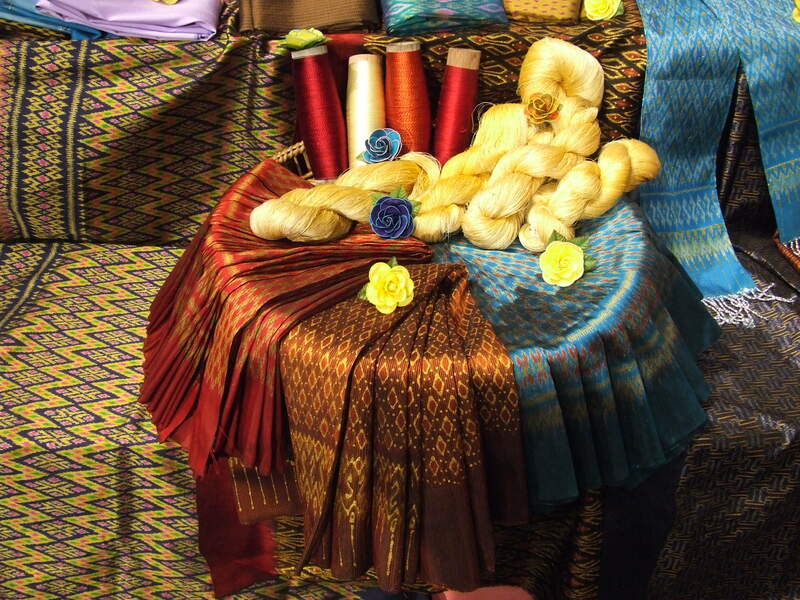 Thailand work chronicle begins with silk production. Experience, of course, is enormous: the first fibres were found three thousand years ago. Much water has flown under bridge since then, and many peoples succeeded each other, though a simple, but extremely labour-intensive techniques were preserved unchanged since ancient times. Even today Thai weavers weave silk threads on prehistoric machines working no more than 4 hours per day. Even in such a short period of time they got exhausted, producing only a meter long cloth in 60 minutes. After all, to extract the finest threads from silkworm cocoon and wound them on the machine, those women need superhuman concentration and patience. National ceramics also bear an antiquity reprint. More than 700 years ago Thai tableware found its buyers outside the country. 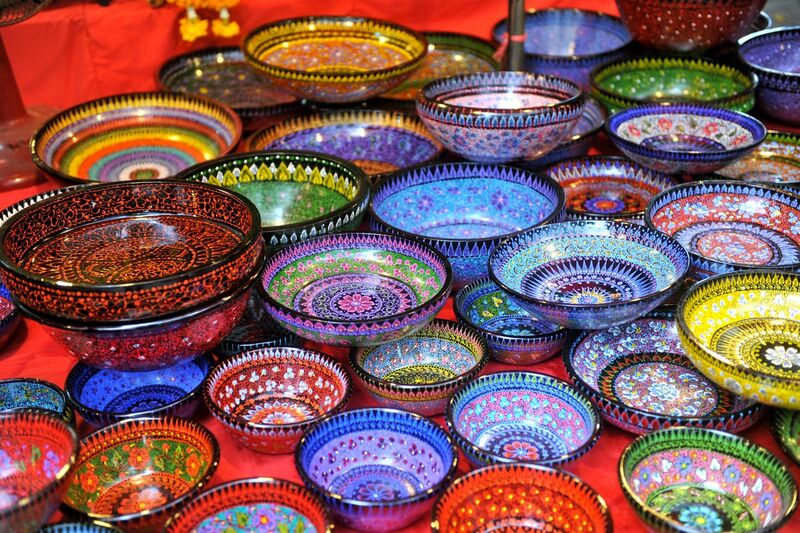 Collectors from around the world are driven crazy with items made under ancient technology called Sangkhalok. Contemporary potters in Thailand tend not to modify but maintain the traditional fine workmanship of their ancestors: picturesque and lavish ornaments cover their pottery. There is a special and well-established approach to interior design in the country. Traditional Thai furniture is made of the most expensive timber in the world - teak which is appreciated for durability and resistance to corrosion. This material is called "green gold", and masters compare it with ivory, as due to the high density of surface it can be coated with a very fine and elegant design. 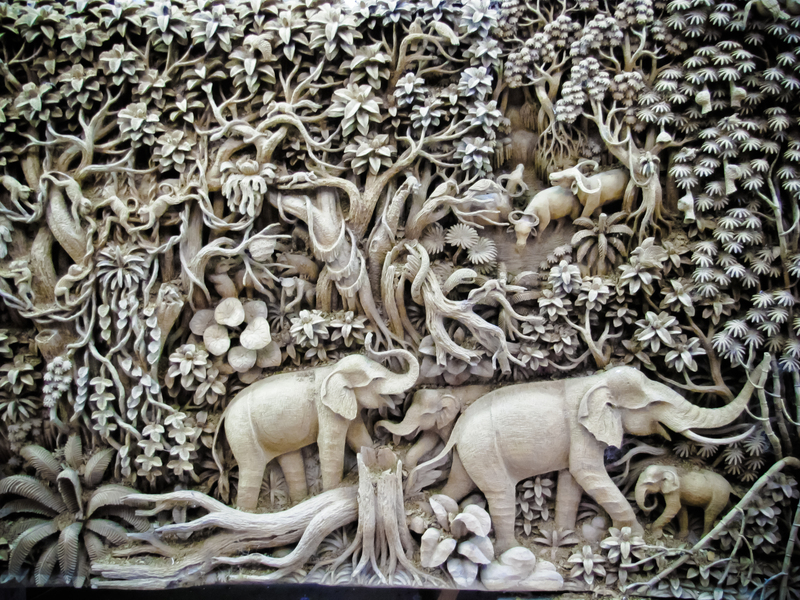 In addition to furniture, teak is widely used for creating wall panel pictures, also known as sculpture pictures. Such masterpiece not only time-consuming (creation may last for months), but also requires good nerves of artist, since the slightest error irrevocably ruins all the work. Such as wicker furniture and rugs made of bamboo or rattan, wooden ornaments, jewellery boxes with glazing. In this case, all roads lead not to Rome, but to Chiang Mai - the second largest city of Thailand and the silent capital of artisans. No wonder a carved elephant is considered a local symbol, as well as the iconic umbrella of Sa paper impregnable for beetles and termites. 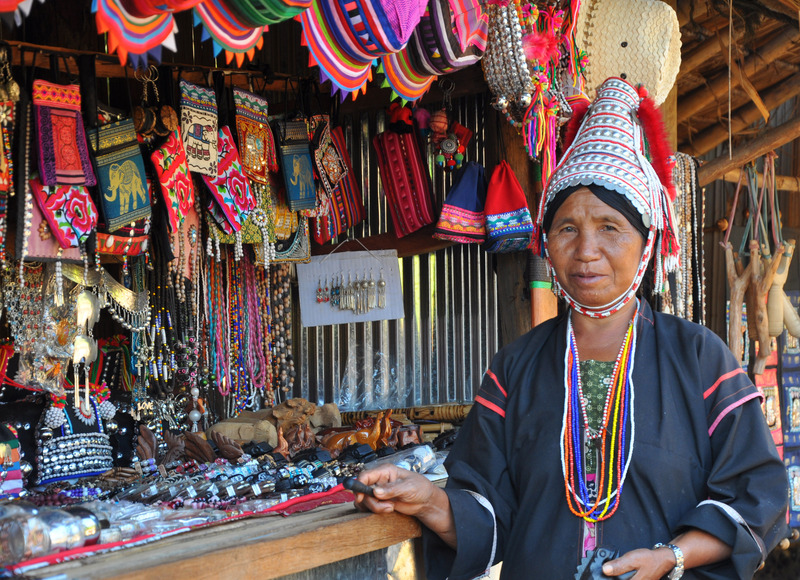 In Chiang Mai you will spot many workshops of jewellers, glassblowers, carpenters, weavers. Industrial breath of recent centuries touched them painlessly, as folk craft is protected by state. In addition, 100 years ago the city was almost inaccessible: to get there one had to break through thick jungle riding elephants, or to conquer complicated water way. So outside influence was extremely limited. Chiang Mai is located in the northern part of Thailand. Handicrafts of the South have their own specifics – goldsmiths and engravers are concentrated there. Precious stones (sapphires, rubies) are mined in Chanthaburi and Kanchaburi, then they are usually taken for cutting to Bangkok. Production of pearls is a separate topic. The greatest number of farms is anchored in Phuket, all times favourite destination of our compatriot tourists. There you can personally observe pearl evolution from a bead in clam shell to pearlescent pebble. Also Southern Thailand is famous for a special technology of coinage on silver "with black." Skilled craftsmen fill space between patterns on objects with a metal alloy, thereby forming a smooth, black and gold background. And in the provinces of Krabi and Ayutthaya they forge national swords for fun of all admires of bladed weapons.